Prof. Dr. Sven Apel holds the Chair of Software Engineering at Saarland University, Germany. Prof. Apel received his Ph.D. in Computer Science in 2007 from the University of Magdeburg, Germany. His research interests include software product lines, software analysis, optimization, and evolution, as well as empirical methods and the human factor in software engineering. He is the author or co-author of over a hundred peer-reviewed scientific publications. He serves regularly in program committees of top-ranked international conferences and he is a member of the editorial boards of IEEE Transactions on Software Engineering, IEEE Software, and Empirical Software Engineering. He was/will be program-committee co-chair of the 31st International Conference on Automated Software Engineering (ASE) and the 27th ACM Joint European Software Engineering Conference and Symposium on the Foundations of Software Engineering (ESEC/FSE). His work has been funded by the esteemed Emmy-Noether and Heisenberg Programs of the German Research Foundation (DFG). In 2018, the Association for Computing Machinery named him an ACM Distinguished Member for "Outstanding Scientific Contributions to Computing". His work has received two Best Paper Awards, one ACM SIGSOFT Distinguished Paper Award, as well as awards by the Ernst-Denert Foundation, the Karin-Witte Foundation, and the State of Saxony-Anhalt. 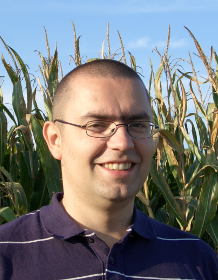 Sven Apel is a member of the Young Academy of Europe.